Stereotyping is not a new concept to people worldwide. Individuals have consistently judged someone based on their race, ethnicity, and even gender. 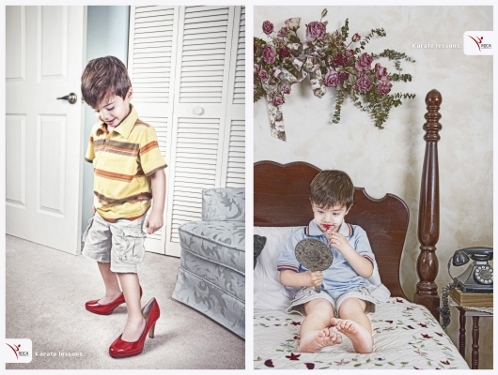 In advertisement in particular, gender stereotypes have been used regularly without notice. Some argue that it helps connect real life experiences and familiar roles to the consumer. Throughout the years it has become increasingly popular to objectify one gender and categorize another as superior to the rest. Since the beginning of advertisement, women has been placed in ads and commercials in ways that make them subordinate to men. 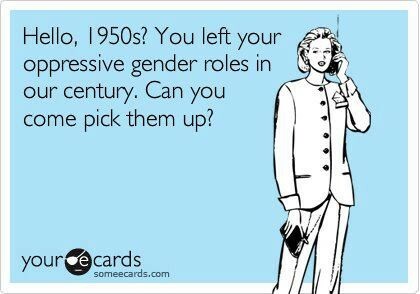 While men are shown as strong, independent, and powerful game changers. The question is, when gender roles are switched in advertisement, does this have an effect on the consumers general opinion of the ad? To begin I want to show some typical ads from todays advertising market. All three of these ads show objectify women and create the stereotype that women as subordinate to men. Unfortunately this has become a social norm for people around the world. This behavior/stereotyping simply goes unnoticed or is found humous. This is a form of advertisement that is used typically because it captures the consumers eyes. But has advertisers taken this concept to the extreme? There have been some people who have protested this stereotype and have switched the typical roles of men and women in different advertisement campaigns. What I challenge all of you to do is to first look at how the women are portrayed, and then shift your attention to how the men take on the “female role”. How does your reaction affect your opinion to the product? Here are two examples of how our youth are playing on the gender role issue. 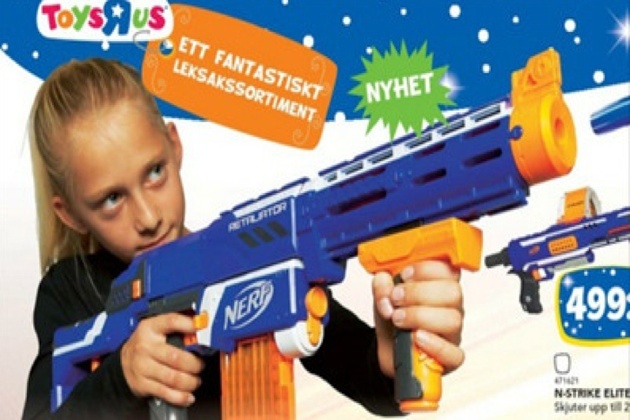 If ads were not posted with images like the ones above many people would have a very different outlook on the product. Some may find the images as a joke, while others may think they are simply ridiculous. There are also ads out there that have children posing as the main focus. From a young age we are exposed to these basic beliefs and ideals of what products boys use and what products girls use. The problem is, why is it acceptable for people to view these switched advertisements as funny or stupid, and the regular gender based commercials and ads as something that is informative or as a response to the consumers basic ways and beliefs. The video below is a French short film portraying a man in the general “female gender role”. As he goes about his day he is exposed to sexual harassment and other everyday activities that society declares as a woman’s job in a mans world. This video shows how gender stereotypes are experienced not only in America, but throughout the world. Things that some view as social norms, may be completely objectifying and irregular to others. The problem that I have with this issue is we as a society have made it so normal to objectify one group of people. When the roles are reversed it appears “wrong” or not appealing to the general public. This is both a flaw and a well played move that I see within advertisement. Advertisers put out to the consumer what they believe he or she wants to see, disregarding what may be overdoing a stereotype started years ago. Social Media Campaigns: #flyinghigh or #descendinglow? Thanks for posting about this! This is definitely a growing debate in the world of media, marketing, and advertising. It is so hard to deal with the social constructs of gender, and what is normally thought of as masculine and feminine portrayals and attitudes. 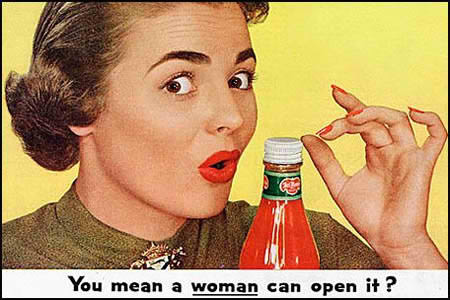 From a woman’s standpoint, I for sure do not see myself represented accurately or fairly in most advertisements today. With this issue coming to light, do you think advertising can change how we see the social construct of gender expression and gender depiction? You made some really good points not only about the existence of stereotypes in advertising, but also on how often they are taken for granted or ignored. For example, the pictures you posted that showed women being objectified were far from uncommon. They were the type of things that we see on an everyday basis and we don’t really react to much anymore because it has become so common. 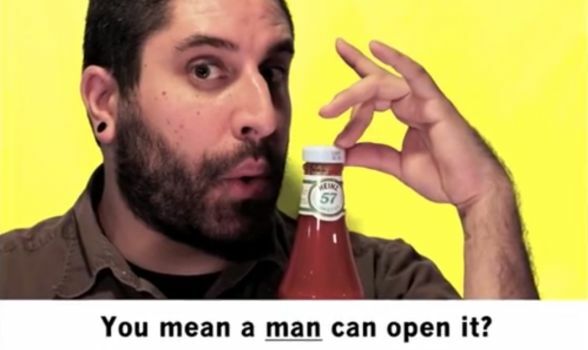 I think the short film was a really good way to prove your point because when the roles are reversed such as they were in that video, it kind of snaps us out of the state of mind that stereotypical advertisements have given us, and reminds us just how often we as a society glance over that type of thing happening to women. I am so happy you brought up this topic! It’s really important for advertising (and society itself) to become more modern, especially in the world of equality. Advertising is a part of media that shapes our culture. Therefore, it has a lot of weight in how we and others see and act in the world.